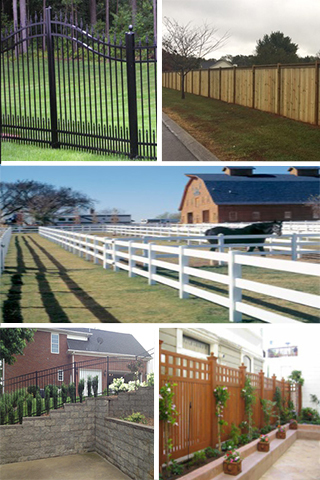 Middle Tennessee Fence is a family-owned and operated business based out of Murfreesboro, TN. For 15 years, we have been proudly serving our neighbors as the go-to fence company in Nashville, TN and the surrounding areas. Quality is our main focus and with our “clean up as we go policy,” every project will be completed thoroughly, efficiently, and without a mess. We will also maintain environmentally-friendly standards throughout the construction process, ensuring that your project will never be an eyesore for the community. When choosing Middle Tennessee Fence, you are guaranteed honest advice and positive results. We have no fancy sales pitch, nor do we have any pesky salesman to pressure you into making purchases you don’t want to make. However, we do have a careful attention to detail and top-notch customer satisfaction. Our attention to detail and years of experience allows the customer to focus on their next project while we focus on being the best fence company in Nashville, TN. Deciding on a fence that best suits the needs of your property is not always an easy task. Here at Middle Tennessee Fence, our professional fence contractors specialize in a broad range of decks, gates, and fencing options. Base your decision on an array of visual representations and expert-level opinions throughout your fence-building experience. With us by your side, we can create a unique plan that is guaranteed to cater to your personal needs. While on site, our contractors remain available for any consultations regarding the progress of our services. This is your fence and it should be the way you want it! Allowing the customer to visually critique our work ensures that every one of our customers are fully satisfied with their final product. Having our fence company in Nashville, TN and the surrounding cities allows us to to connect directly with our neighbors, including those in Murfreesboro, Brentwood, Franklin, and Mt. Juliet. We are here to help you find something that you will love and enjoy for years to come with our broad range of fence styles and materials including chain-link, aluminum, vinyl, and wood fences. Whether you are looking to add some authenticity with a specialized gate or to keep the pets and family safe with one of our privacy fences, we have what you need. Start by taking a look through our gallery of products for ideas, and get in touch with us, your local fence company in Nashville, TN, to get started on your next big project.